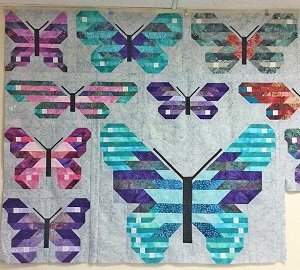 Georgia is presenting another Elizabeth Hartman pattern as a block of the month, the Lepidoptera, or as we call it, the Butterfly Quilt! This is a monthly class that does not involve sewing in class, so no packing up your machine & supplies! All sewing will be done at home. Georgia will teach you how to construct each month's block, but you do the sewing at home. Click here for the Lepidoptera aka Butterfly Quilt supply sheet.